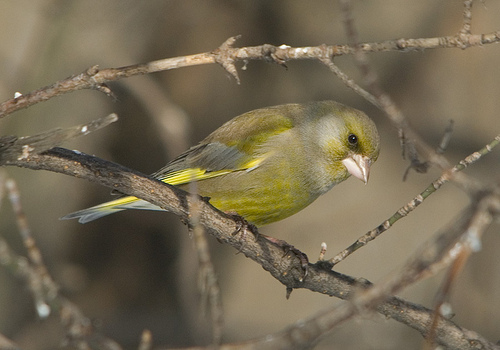 The Greenfinch has a thick beak, with which it can crack large seeds. Other yellow birds like the Siskin have much thinner beaks. 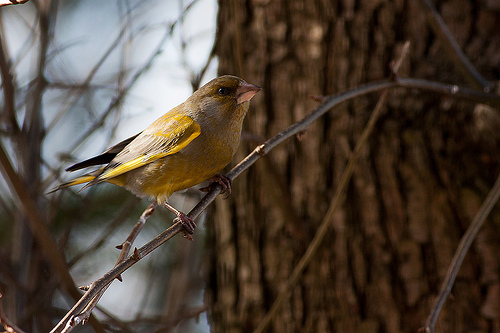 The Greenfinch is green and yellow, the Chaffinch combines red and brown.